Approved Rim Width Range: 8.5"-11.0"
We all want big, aggressive mud tires on our trucks. However, let's be honest, sometimes it's just not practical. Sometimes our daily trucks need something a bit more practical, something with a longer tread life, quieter ride, better road manners and, of course, the option to hit the trails. That is where the Toyo Tires Open Country A/T II comes in. The versatility of the A/T II is almost limitless, offering excellent traction, long tread life, blatantly aggressive tread design and a quiet ride, all in one aggressive little package. 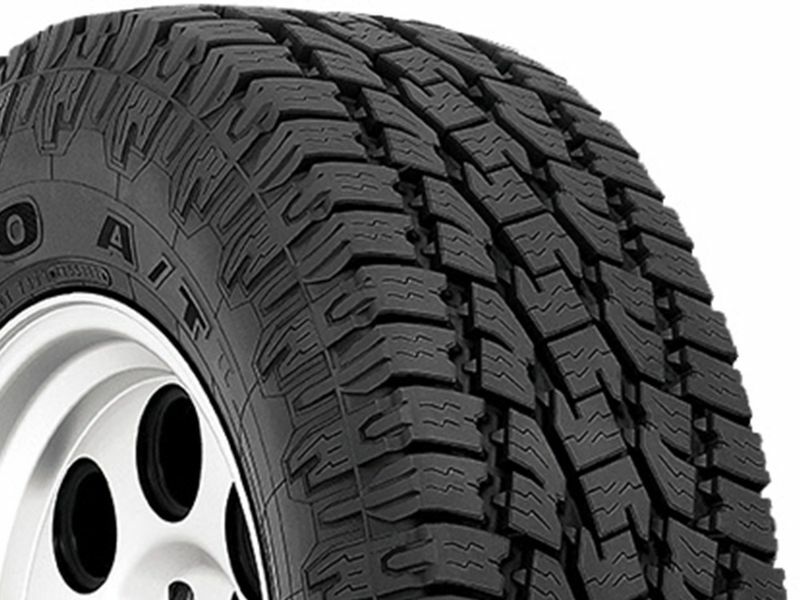 These tires come backed with a treadwear warranty of up to 65,000 miles. So, when you need an aggressive tire to hit the trail on the weekends, but need something more mild mannered during the week, the Toyo Open Country A/T II has you covered. If you are changing your tire dimensions from stock you will want to have your speedometer & odometer recalibrated after installing your Toyo tires. Changing your wheel or tire size can affect the accuracy of your gauges as well as how your transmission shifts. To check out the tire recalibrators that we sell click here. If you have any questions or concerns please feel free to give us a call.